Exceptional durability, beautiful color choices, and an industry leading warranty make Ply Gem siding the smart choice for homeowners. Find the style that’s right for your home. 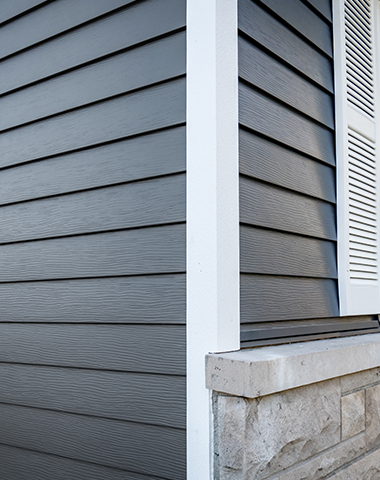 Lap Siding’s simple, horizontal lines, easy installation, and effective protection have made it the most popular choice for homes for centuries. The distinctive texture of overlapping molded hand-split cedar shakes and rough cut cedar shingles infuses a rustic, casual charm resembling natural wood. 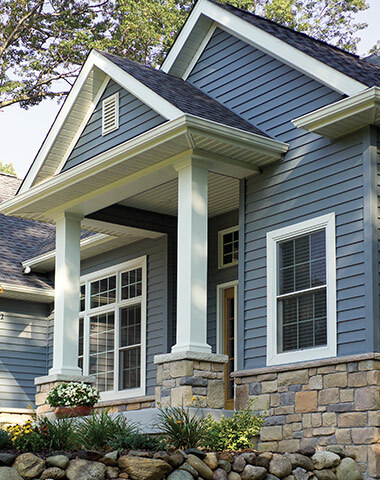 Vertical, tongue-and-groove siding, also known as board and batten, offers a fresh, yet familiar design option that stands out in any neighborhood. Whether you admire a classic beaded design, rustic textures in natural earth tones, or vertical panels in smooth finishes, Ply Gem is a great choice every time. 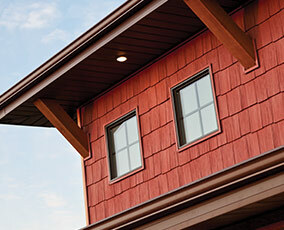 Learn about our three many siding styles and brands to find what fits your home perfectly. 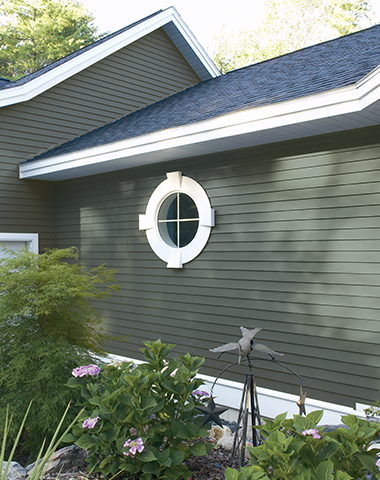 If you’re looking for a beautiful, durable, virtually maintenance-free siding choice, Ply Gem vinyl is your choice. 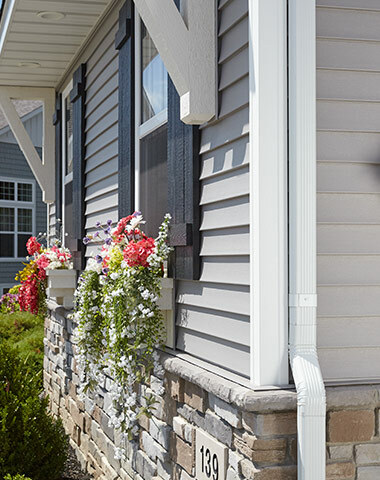 We offer vinyl siding in a variety of rich colors, realistic textures, and popular styles. It never needs painting and lasts a lifetime. Plus, you can choose a version that features a layer of insulated foam for long-lasting energy efficiency. The sun’s intense heat and UV rays can take a toll on home exteriors causing colors to fade over time. Dark panels absorb more of the sun’s damaging rays, which can lead to distortion. Ply Gem’s SolarDefense technology provides next-generation protection from the sun with a new, breakthrough color formula, advanced light reflecting properties, and an even stronger, heat-resistant base layer. It’s all backed by Ply Gem’s No Fade, No Distortion Promise. 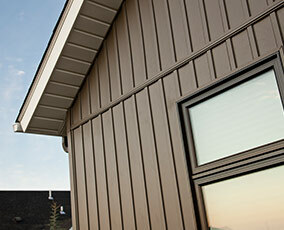 Insulated Siding is made of premium vinyl bonded to breathable expanded polystyrene (EPS) foam. The foam boosts the insulating capacity of your home’s exterior walls, helping you save energy year-round. It also reduces noise, and acts as a shock absorber, absorbing impacts without denting. 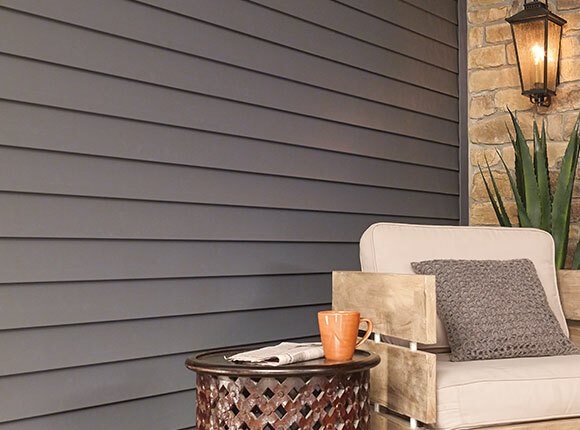 Created from high-quality galvanized steel, the Ply Gem Steel Siding Collection offers the ultimate in performance in an array of bold colors. It’s fire, fade and impact resistant, and withstands extreme weather so well we back it with a 50-year hail warranty. Steel siding is designed to last a lifetime. If you live near saltwater, choose Ply Gem aluminum or vinyl siding. 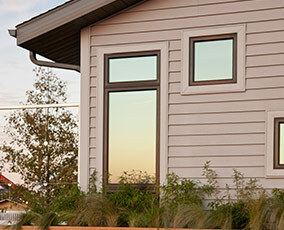 Durable and long-lasting, Ply Gem aluminum siding is low maintenance. It resists fire, rot and insects, and can withstand wind speeds up to 165 mph. You can choose from a variety of factory-baked enamel colors, siding styles, and smooth and textured finishes. Ply Gem aluminum siding can last up to the life of your home. It never needs painting but you can paint it, if you like. See how it all comes together. 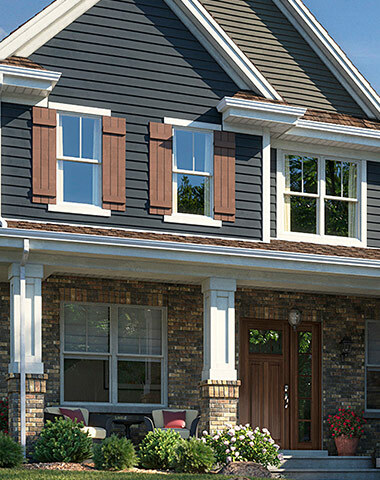 Mix and match siding colors and styles, accents and accessories with our Interactive Design Tool. Check out these fresh ideas, latest design trends, and expert tips. 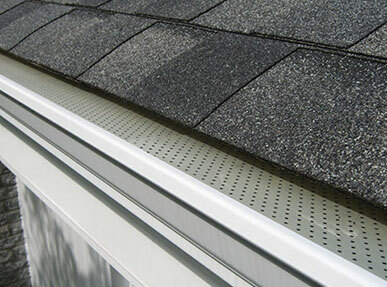 Keep leaves, ice and snow out of your gutters with our patented Leaf Relief system. 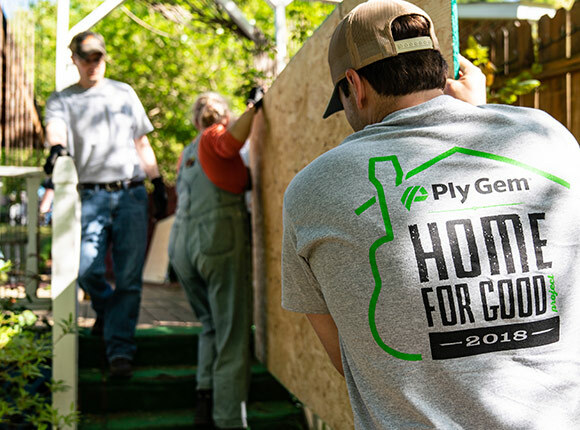 With the help of hundreds of hometown hero volunteers in Raleigh, NC we remodeled five homes that needed critical repairs in just eight days as part of the Ply Gem Home for Good project. Our Advanced SolarDefense Technology is so effective at protecting our boldest, darkest colors from the sun that we back it with an unmatched No Fade, No Distortion Promise. At Ply Gem, we believe everyone deserves a place to call home. With our Home for Good project, we’re helping hundreds of families discover the joy of homeownership.